It is Multiplatform means it can run on a different types of computer system . 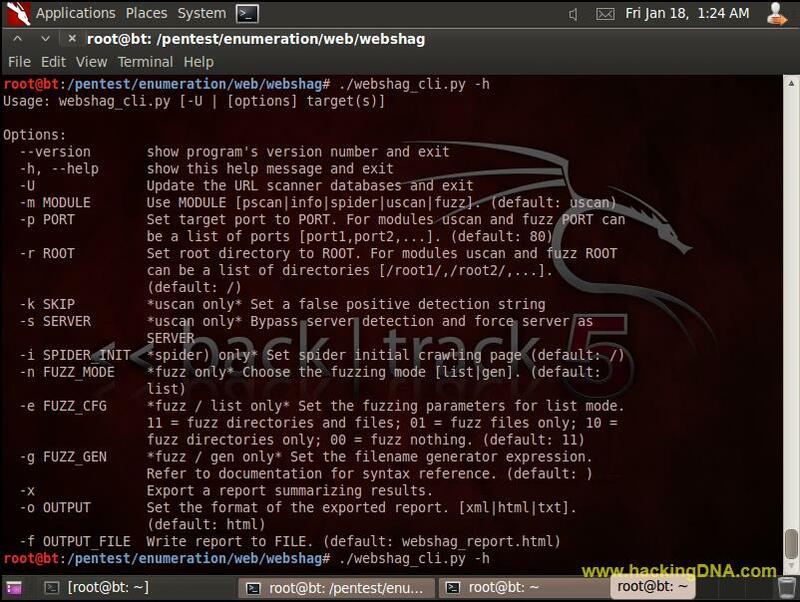 It is a web server audit tool . Retrieving the list of domain names . Webshag also provides the Graphical User Interface .Also it is available for Windows & Linux . Webshag is pre-installed on backtrack 5 , so don't have to worry about how to installed it on your Linux machine . With this module we can discover open HTTP ports on the target machine . 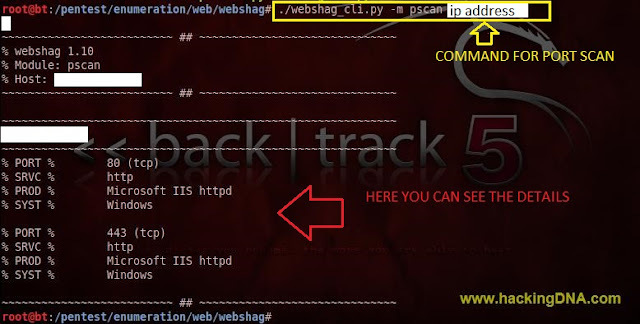 For PSCAN module , webshag totally relies on Nmap . So if your nmap is not function or not installed , then this will not work . So be sure everything works fine . 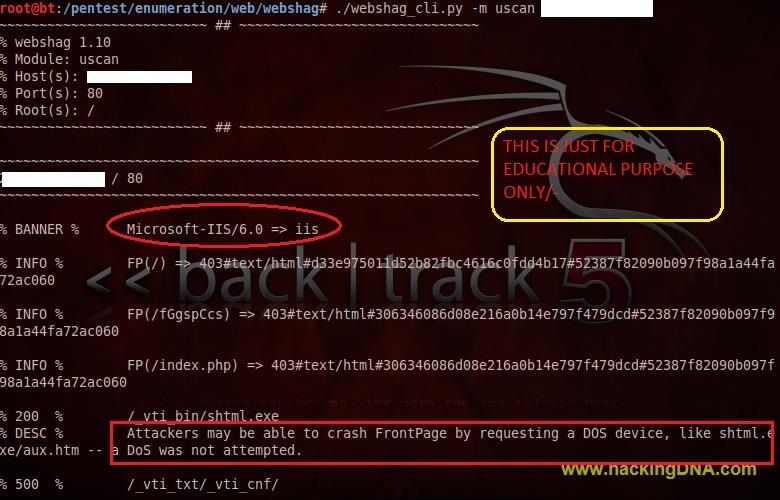 See the below image for real world example of webshag ( some identities are hide for confidentiality). This module allows to crawl the whole website and extract all the information like directory names, links to external websites and email addresses . 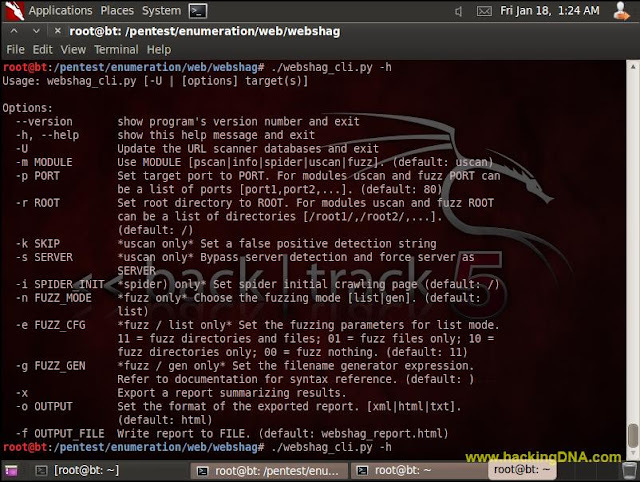 The Urlscanner is used to perform a vulnerability scan on a target webserver or web application. Fuzz module is used to discover the hidden files on the server . 11 - For both files and directories . Webshag allows exports reports in three formats - XML ,HTML , TXT . Its is a good tool for vulnerebility testing . You will find so many challege to configure the nikto database . So be sure your path will be correct otherwise , some of the features will not work . Give yourself a command based challenge , GUI everyone can use it .